Broccoli is listed as one of the most useful and antioxidant vegetables, however, I myself can hardly bring myself to eat it let alone getting my daughters to do so!! Cream of broccoli soup is one of the few broccoli dishes that everyone in my household enjoys. Actually Broccoli Soup disappears as fast as it is put on the table without hearing any whimpers and "I am full" excuses. The way I prepare this version of Broccoli Soup is very quick and fast and doesn't require more than ten minutes of your time. Yes, ten minutes!! 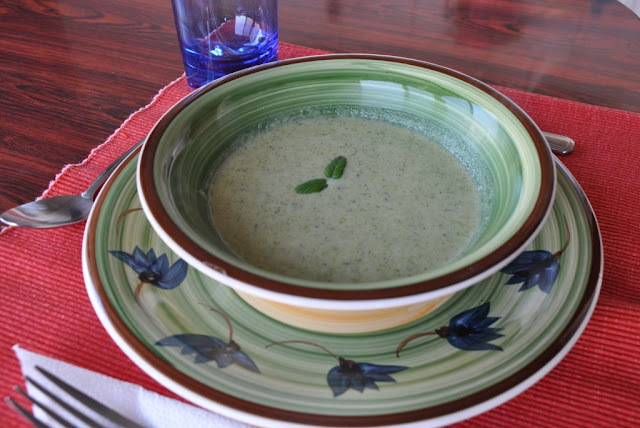 Plus, my version of the broccoli soup is very light as it uses skimmed milk and no cream, but if you desire a more fatty version, check the note at the end of the recipe on how to achieve that. 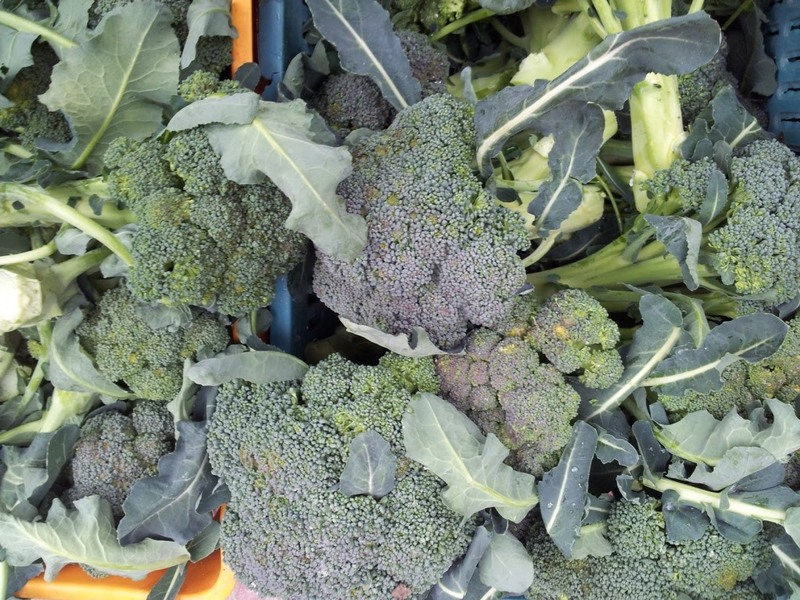 Chop the broccoli into large chunks; do not discard the stems. 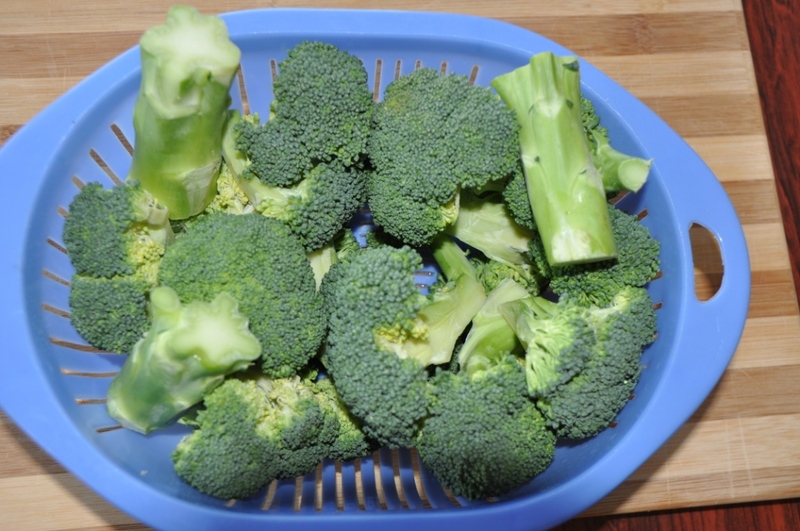 Wash it well by soaking the broccoli for 10 minutes in a mixture of water and salad disinfection tablet. If you don't have the disinfection tablets, then mix lots of salt with water and soak the broccoli in it. After that rinse the broccoli well. Place the broccoli (flowers and stem) and onions in a pot, add the 4 cups water. 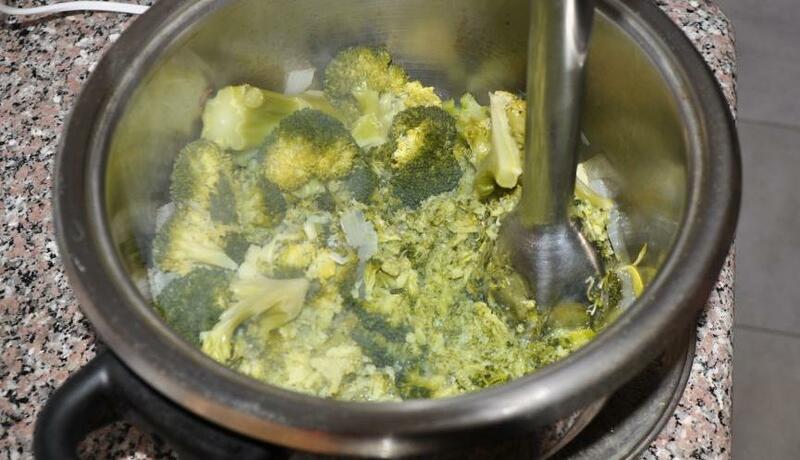 Don't worry that the water doesn't cover the broccoli, it will steam it. Cover the pot with the lid and bring to boil, then reduce heat and simmer until broccoli is tender (about 10-15 minutes). Puree the mixture with an electric blender; I use a hand-held electric blender. I got my first handheld electric blender as a present when I had my first child and it has become a kitchen staple that I cannot live without. It makes life so much easier and less messy when you are cooking. Add the salt, black pepper, lemon and milk, bring the broccoli soup to boil and simmer for about 3-4 minutes. 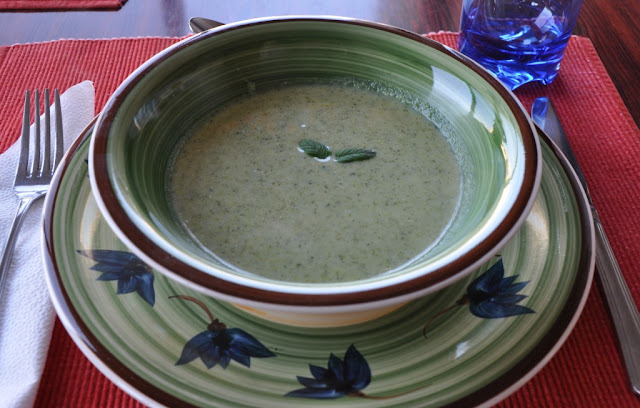 Hope you enjoyed today's easy recipe: Broccoli Soup. Bon appetite.